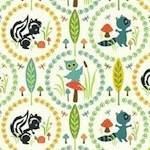 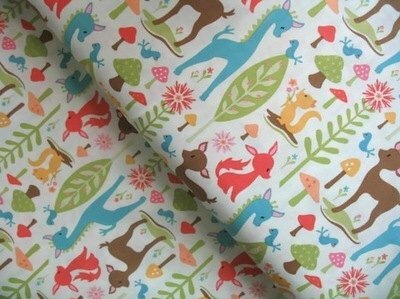 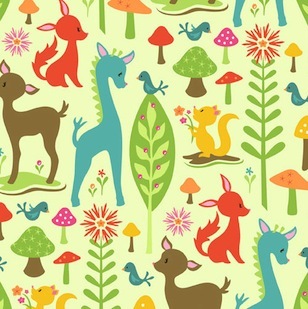 A gorgeous fun kiddies print by Riley Blake from the 'woodland friends' collection. 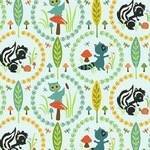 On a soft green - there are deer, squirrels and birds scattered around. 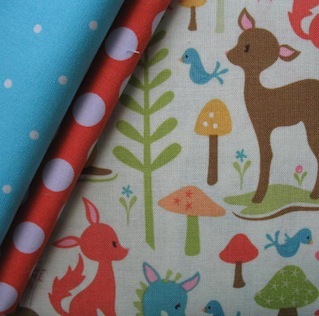 Scale wise the height of the brown deer is 7cm.